When I was younger I saw my daddy cry and curse at the wind. He broke his own heart and I watched as he tried to reassemble it. And my momma swore that she would never let herself forget. And we've got to find other ways to make it alone. Or keep a straight face. And I've always lived like this keeping a comfortable distance. let go of what's in front of me here. What’s a good strum pattern? Paramore is an American rock band that was formed in Franklin, Tennessee, United States in 2004. 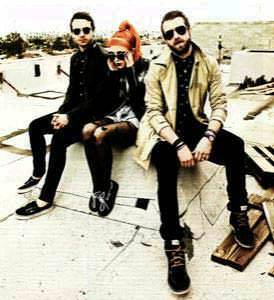 The band currently consists of Hayley Williams (lead vocals/keyboard), Jeremy Davis (bass guitar) and Taylor York (lead guitar). The band has released four studio albums in total; All We Know Is Falling (2005), Riot! (2007), Brand New Eyes (2009) and Paramore (2013). In 2002, at the age of 13, vocalist Hayley Williams moved to Franklin, Tennessee, where she met brothers Josh and Zac Farro while attending private school. .